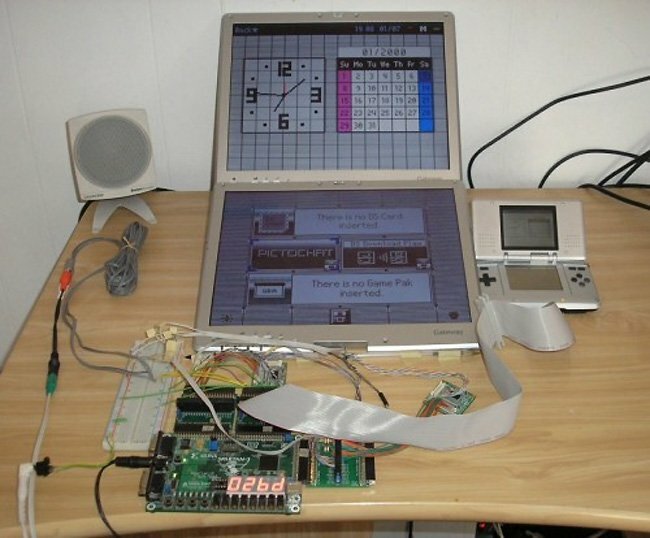 Would you like to supersize your DS screen? Well this hack allows you to create the ultimate jumbo DS screen. It’s a Nintendo DS hooked up to 2 Tablet PC screens, using an FPGA in between to do some translation magic. Pen input from the Tablet PC screens is sent back to the DS.